Australian Airconditioning Services is 100% committed to assisting clients enhance the performance of their workplaces through seamless HVAC systems. 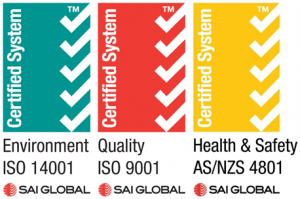 We’ve invested heavily in HSEQ to become one of the only HVAC companies in Western Australia to achieve SAI Global certification in all three categories – a rarity in our industry. Our world-class, process-driven quality framework is what defines Australian Airconditioning Services. It starts at the very top and trickles down our entire business to ensure everyone that wears the Australian Airconditioning Services badge is armed with the knowledge to work at a consistently high level. These unparalleled levels of efficiency and internationally accredited excellence make Australian Airconditioning Services WA’s premier partner in HVAC. At Australian Airconditioning Services, we refuse to compromise when it comes to protecting workers and the community from the risk of injury or illness. Support and assist employees and to involve them in consultation on safety issues. 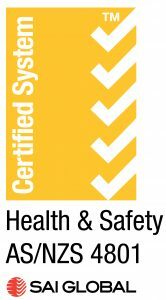 We continuously have our Health & Safety policies, manuals, plans and procedures reviewed and updated by an external HSEQ consultant to meet or exceed all legislation and industry best practice. That’s how we ensure we can stand by our promise. As professionals who design, construct and maintain systems that use energy and produce emissions, Australian Airconditioning Services has a major role to play in minimising environmental impact. To stay at the forefront, we prioritised gaining accreditation in SAI Global Environmental Management certification, complemented by a steadfast dedication to innovating cleaner HVAC solutions that are both sustainable and more affordable. This mission has led us to a number of products that minimise negative environmental impact, such as using ozone-friendly refrigerant that offers improved energy efficient gases. Provide adequate training and resources to ensure their practices are carried out. At Australian Airconditioning Services, our success is built on a reputation for consistent quality products and services. It’s one of the reason we’re a trusted service provider for government bodies and businesses for over 40 years. We’re proud to have achieved SAI Global certification in Quality Management by building a new management system. This system is constantly reviewed to ensure every project follows the same, consistent processes that lead to superior outcomes. Subject our management system to ongoing review for continued suitability.